I'm slowly beginning to see the light. I once thought that OSC imaging was the way to go but im slowly learning that I was dead wrong. Don't get me wrong, my M25C was a great camera easy to use, no filters, simple to process, but i got to say last night really made e a Mono convert. 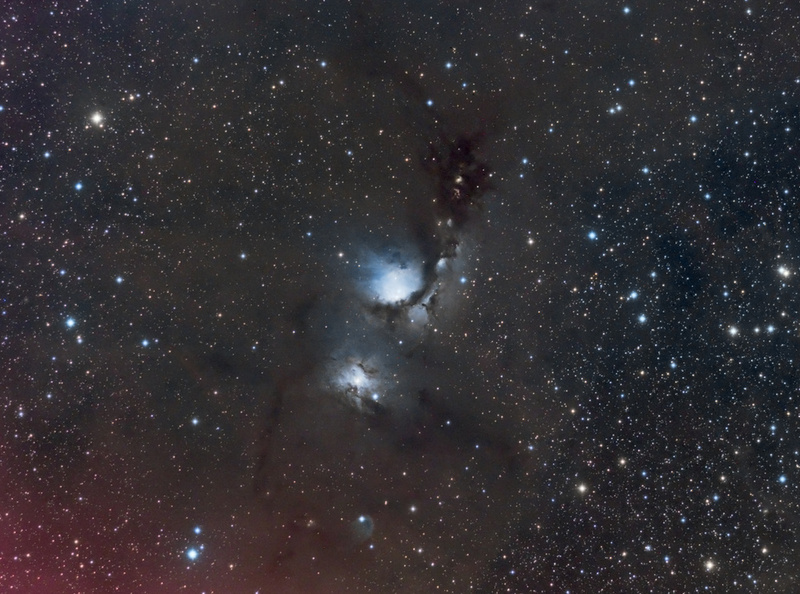 Below is an image I took of M78 last night at Harold Campbell, nothing special I'll admit but i have to say with just 2.5 hours of imaging time I'm amazed at what I was able to capture compared to last years attempt in this same target in much darker skies and almost twice the data.